The Canada Army Run saw a number of participants line up for both the 5k and Half Marathon Ambulatory events. HCC had many members participate and reached out to more as we continue to grow our National network of riders/racers. If you participated, and are interested in learning more about the HCC, please send us an email to introduce yourself! 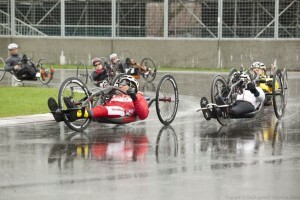 info@handcycling.ca. Congratulations / Félicitations to all participants! The cold rain threw off participation numbers for the C25 (41km) event in the Blue Mountains on the weekend, but 3 handcyclists rose to the challenge and braved the course! 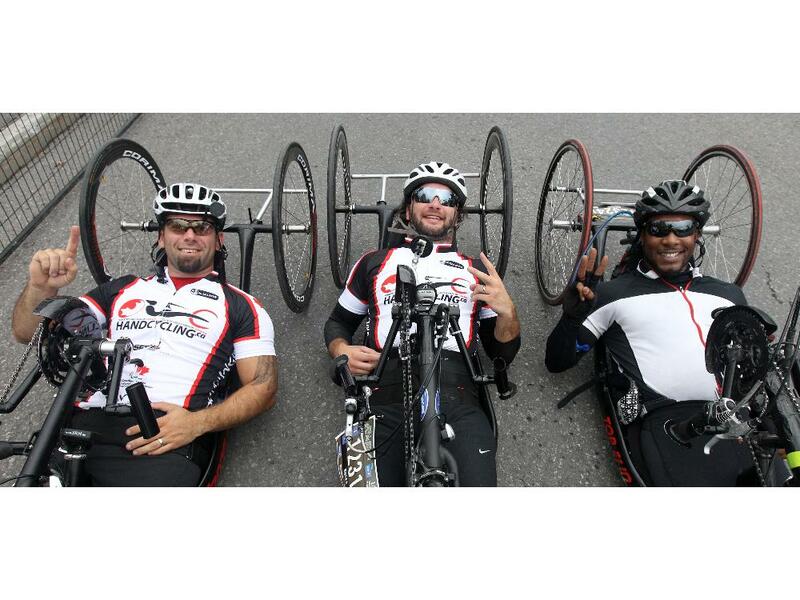 The 2014 Global Relay Canadian Para-cycling Road Championships saw a surge in handcyclists competing for National Titles and personal bests. 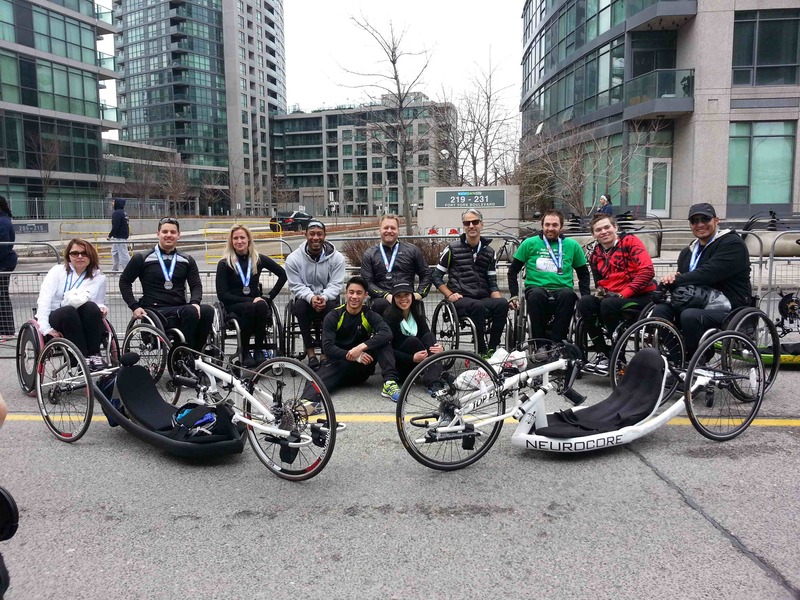 10 handcyclists put the work in on the hills of Waterloo Region – Congratulations to all participants. The Ontario Parasport Games hosted by Northumberland County were a huge success. Thank you to all of the wonderful people who contributed to make it happen. We’re hoping to be back next year for more handcycling racing. The Defi Sportif is Canada’s first race of the year. We never know what to expect, riders or weather wise LOL. I can say this one was pretty exiting. Most riders were making new personal best and the weather was up and down. Saturday TT was nice and sunny with a big show up of riders. It was fast and everyone trying to beat there fast time. Special thank Motion Specialties, Neurocore Staff and Anne Johnston Health Station for their support on race day. As I pulled up to the parking lot and seen the competition getting ready, I knew the season had officially started! Extremely excited I jumped out of the truck into my chair and started getting my bike together. This being my 3rd start ever I was a bit nervous but it was probably because I knew I was about to hit speeds upwards of 50km/h. 5…4…3…2…1…GO! And we were off! I went out first but was quickly passed by a few of the veterans. It was time to ride my race. 20:36 later I crossed the finish line, smashing last years time by 4 minutes! I was pleased with my race and it was amazing to be on Yonge St. again with a bunch of handcycles ripping up the pavement. I can’t wait for the next race! Two day competition that will include a time trial on May 31 Brighton and a road race June 1 in Colborne with your chance to win a Ontario ParaSport Games medal! 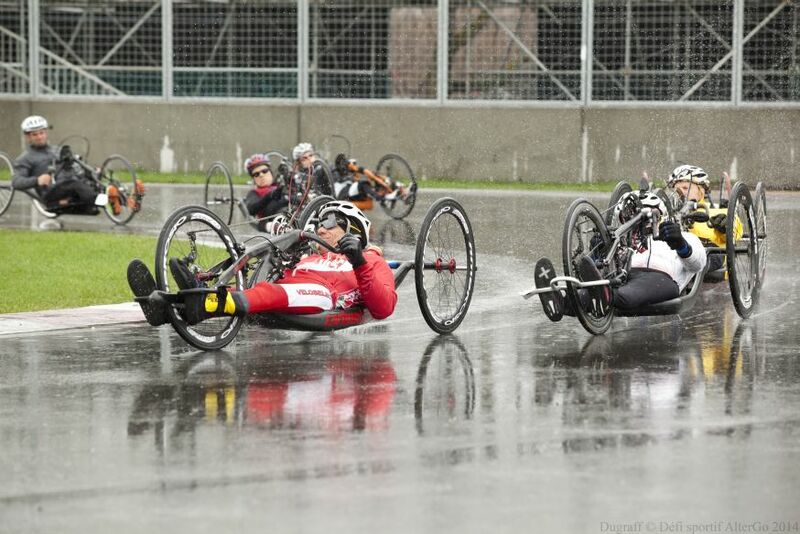 2014 Ontario ParaSport Games to feature handcycling! 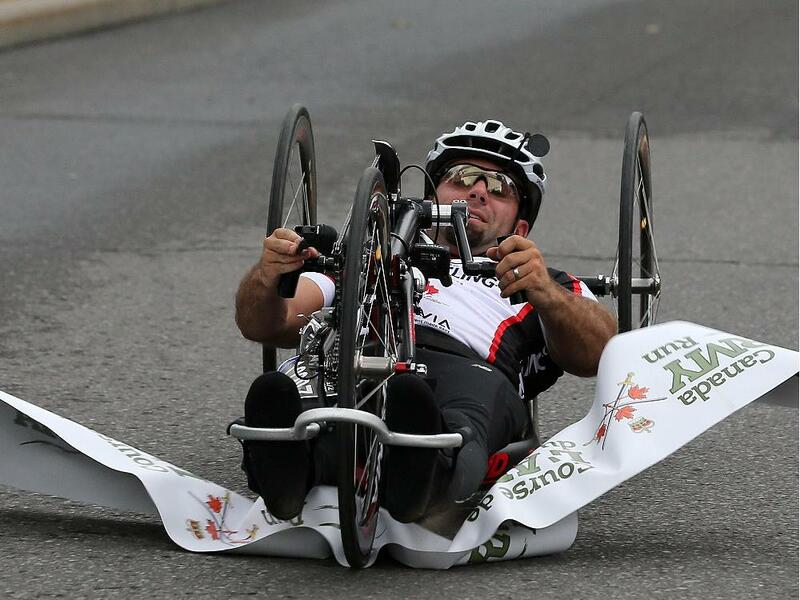 Thanks to the hard work of our Club, the 2014 Ontario ParaSport Games in Northumberland County will feature handcycling as a new medal event!